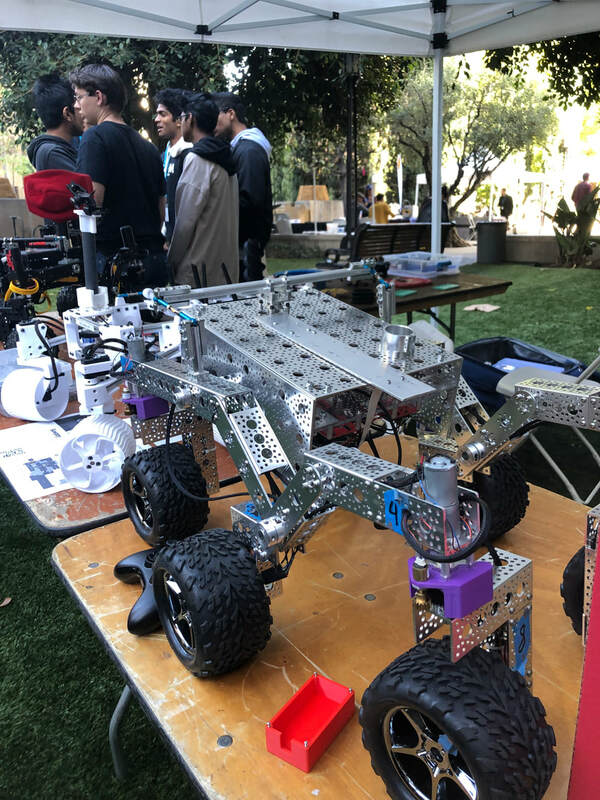 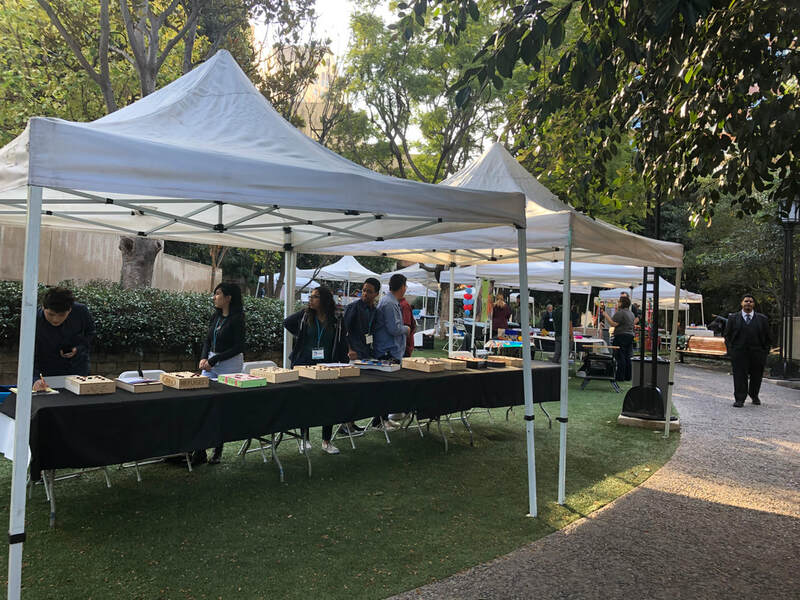 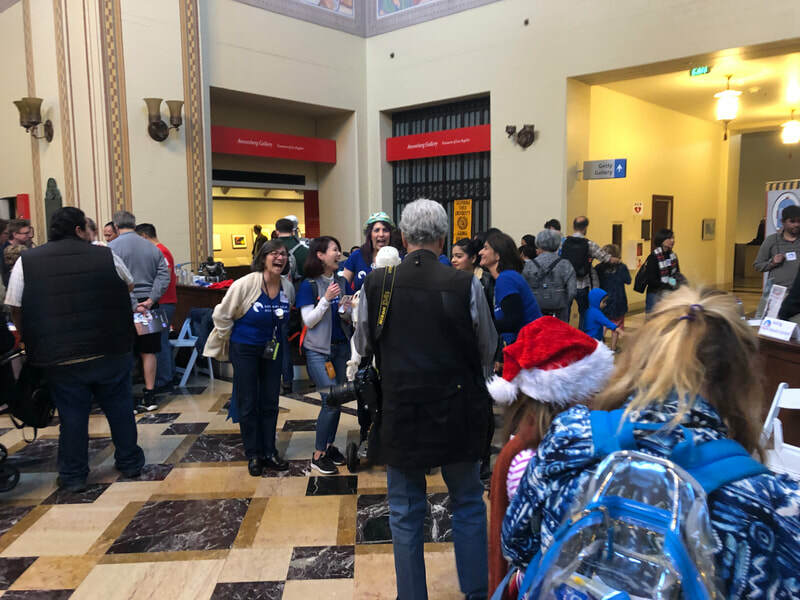 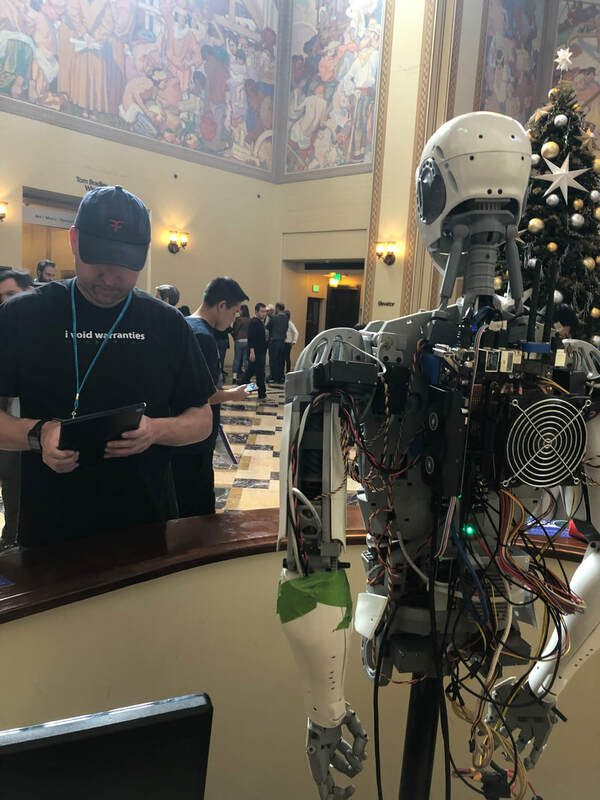 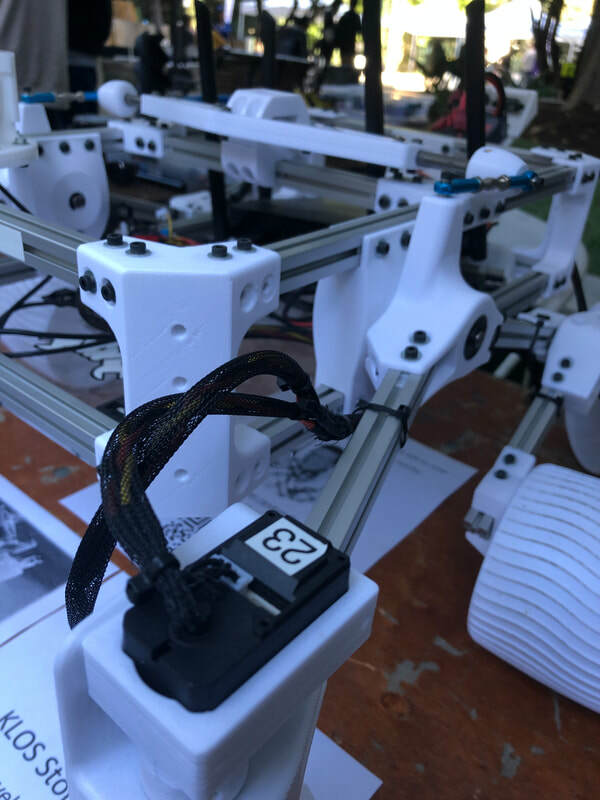 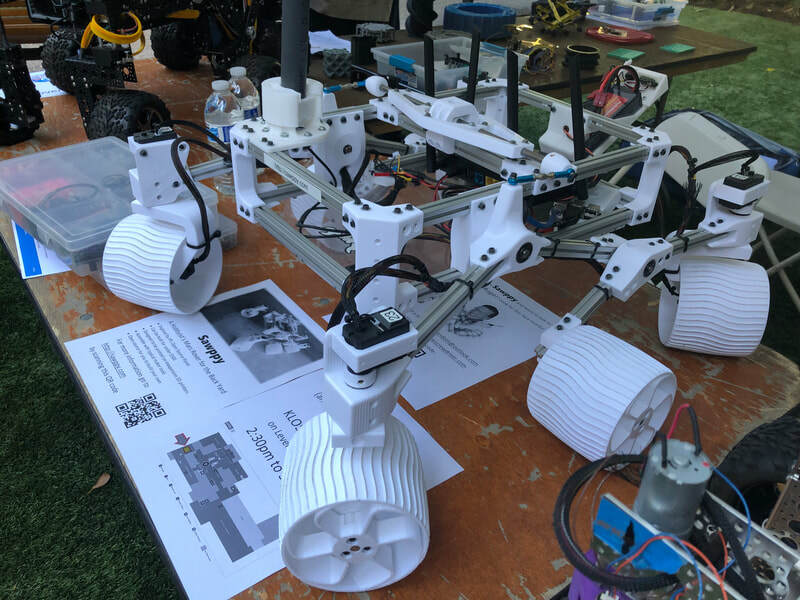 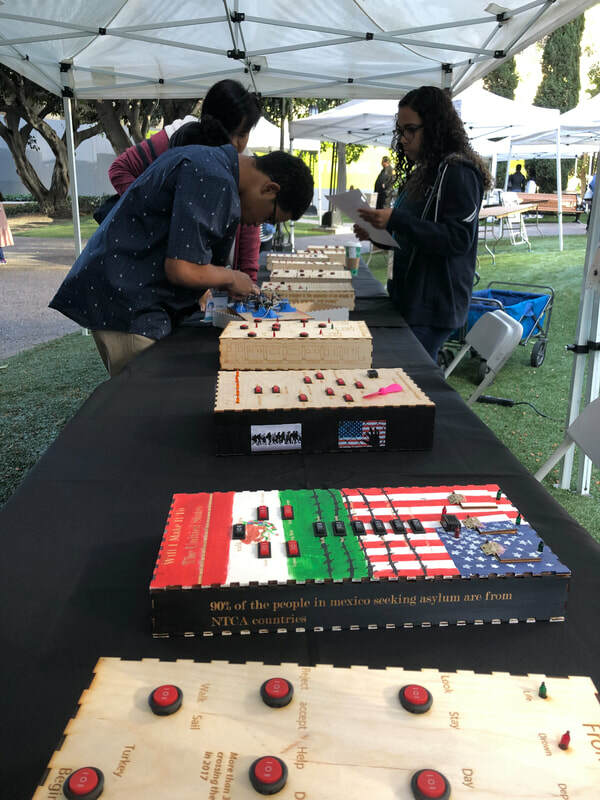 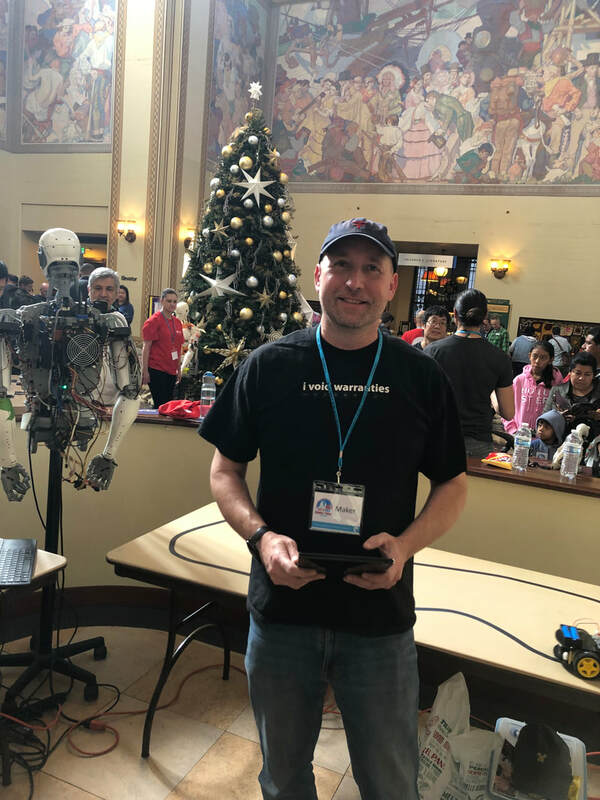 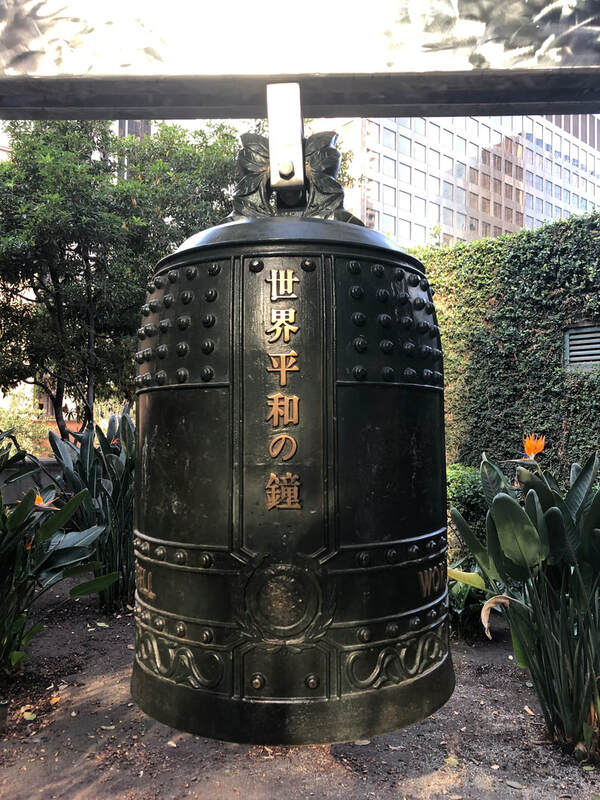 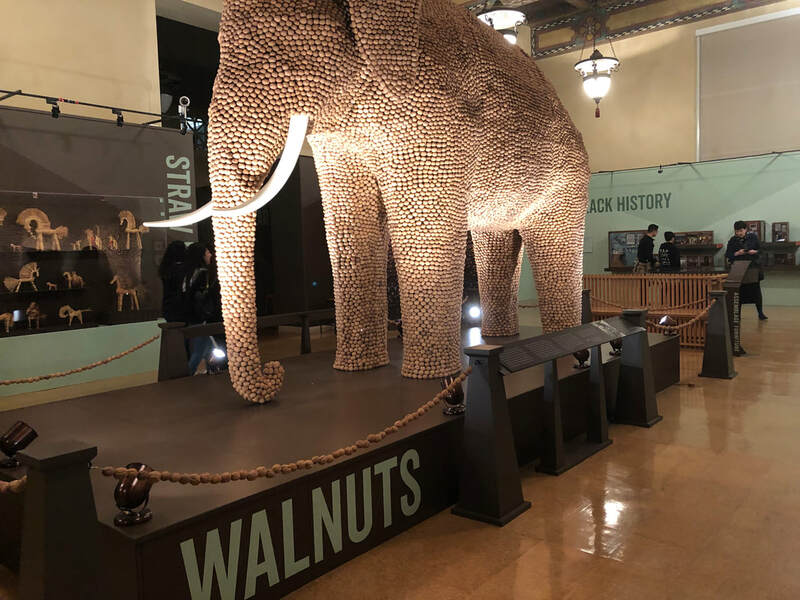 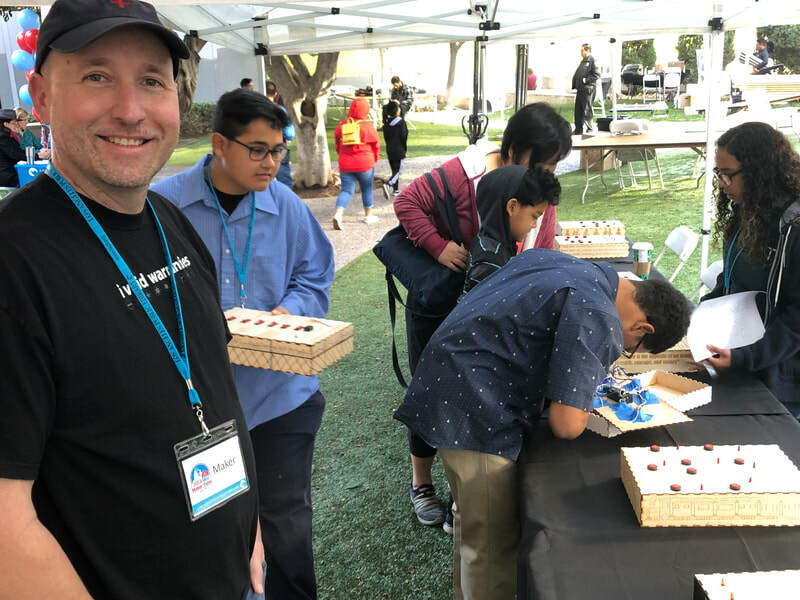 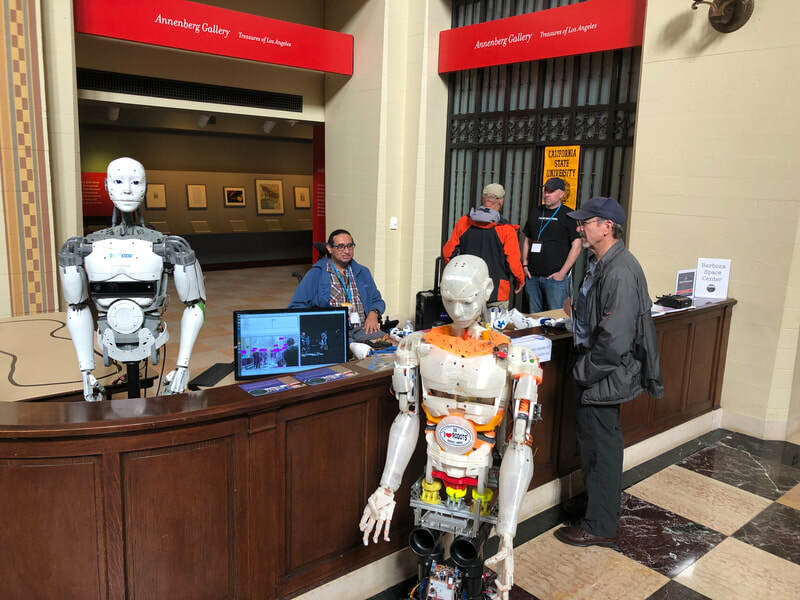 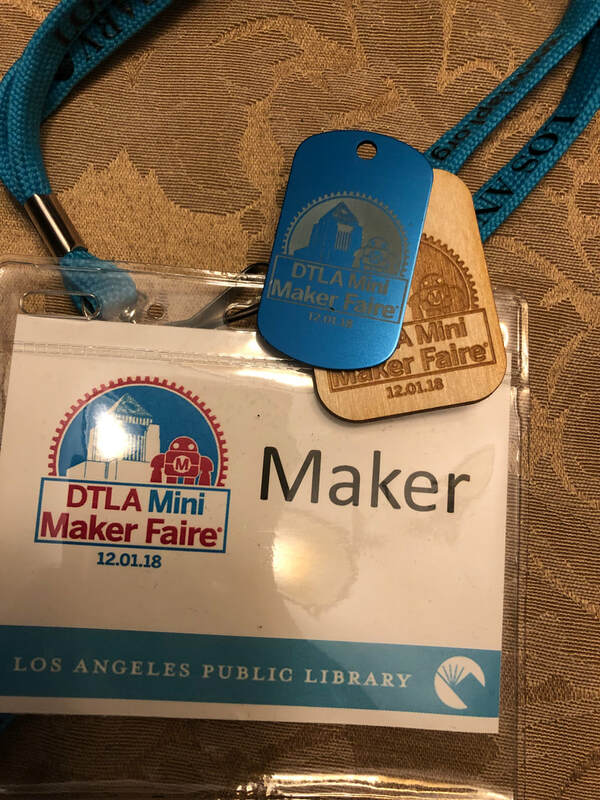 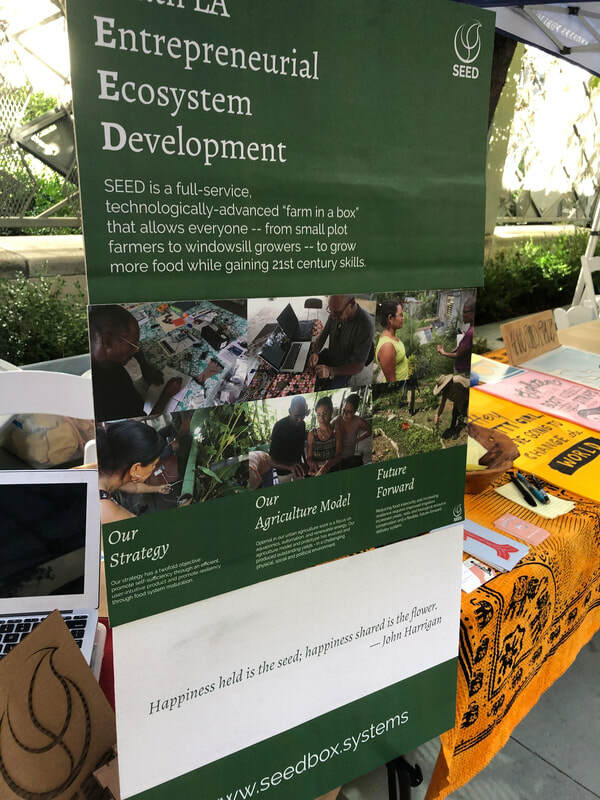 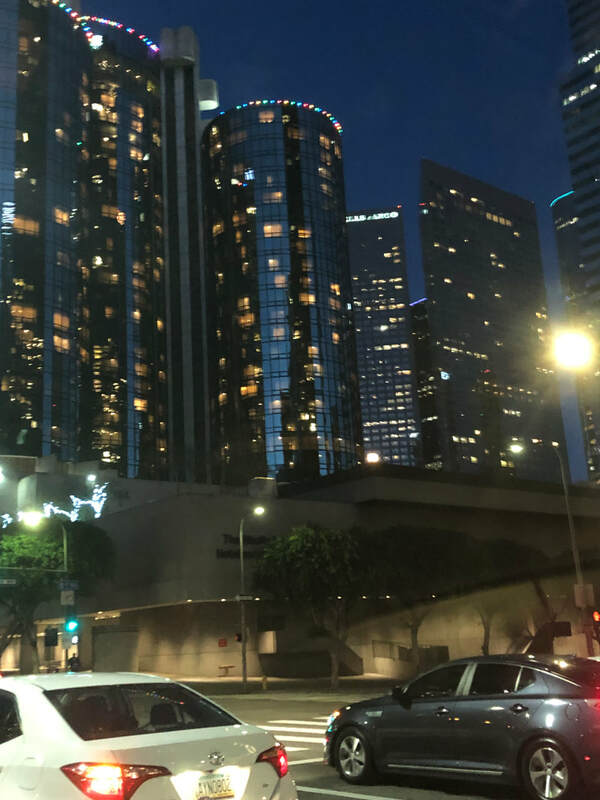 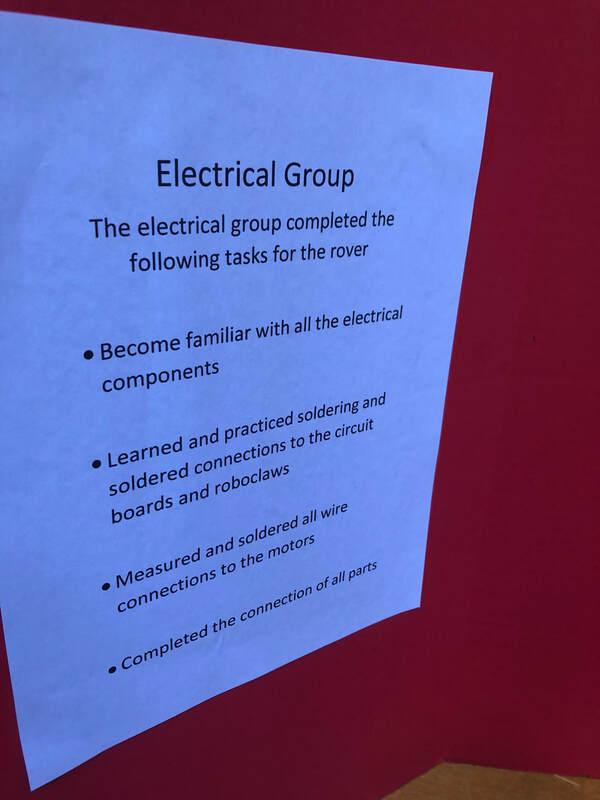 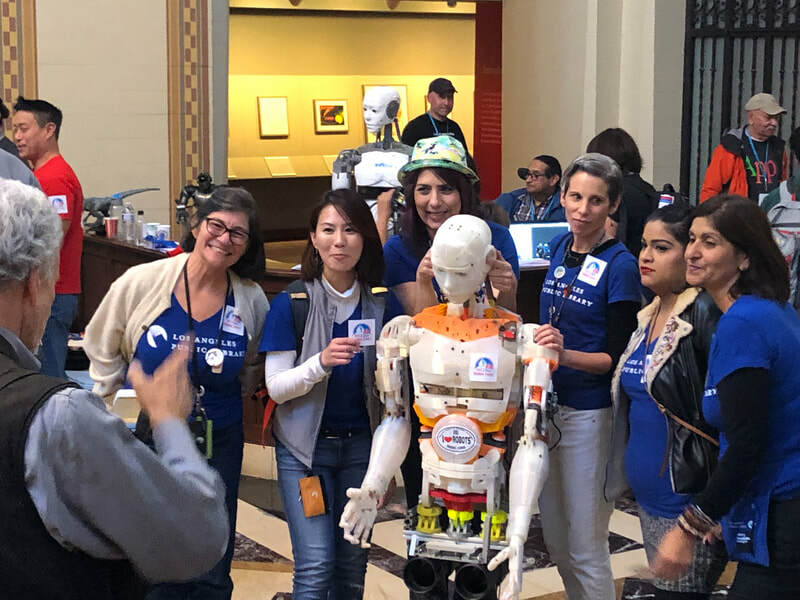 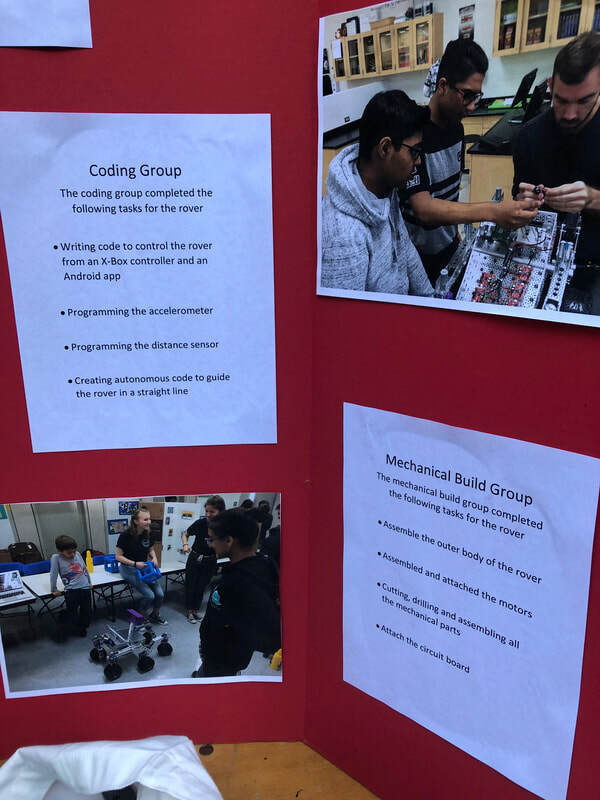 RSSC is participated at the Downtown Los Angeles Mini Maker Faire. 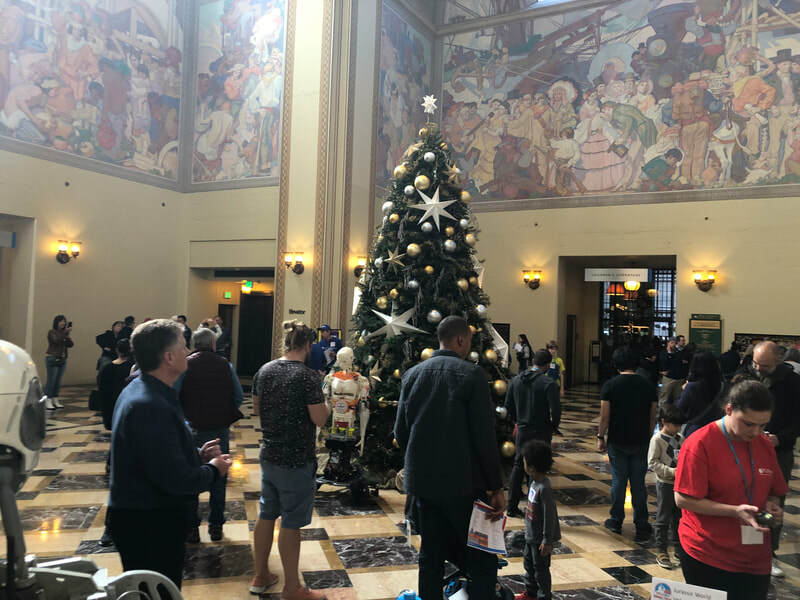 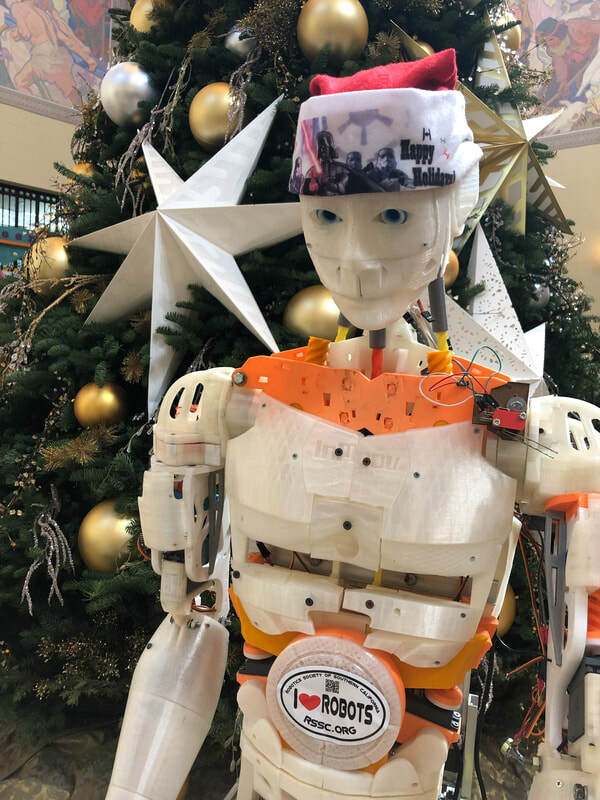 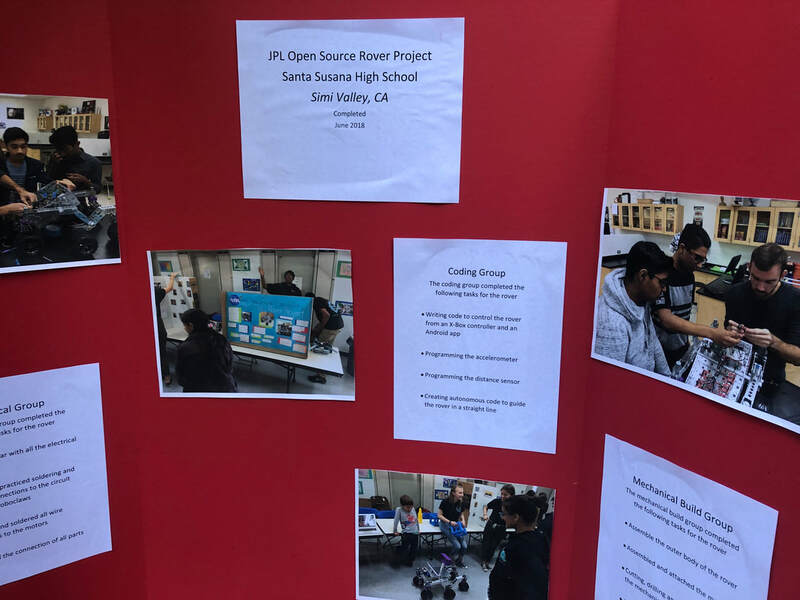 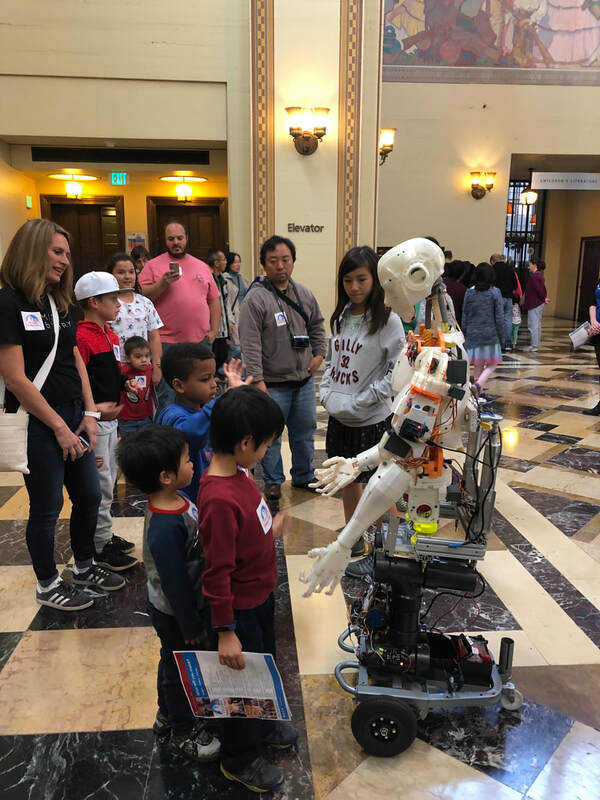 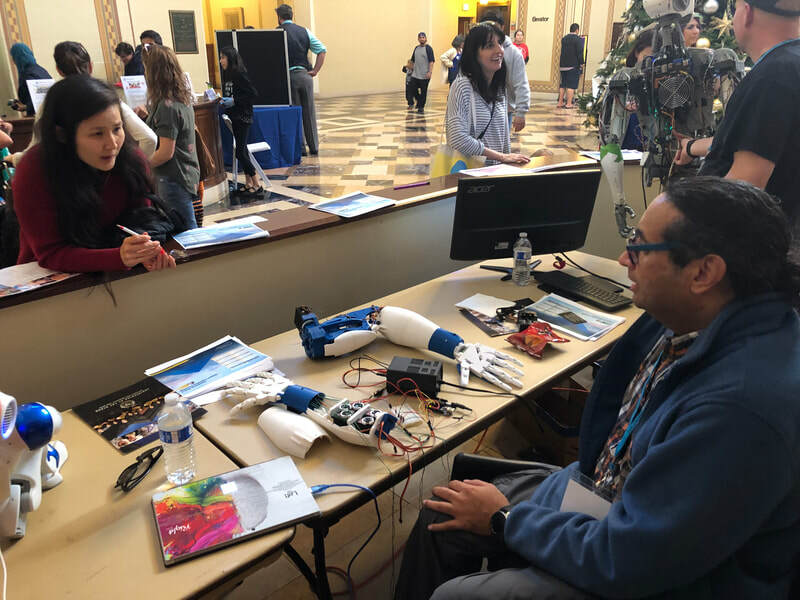 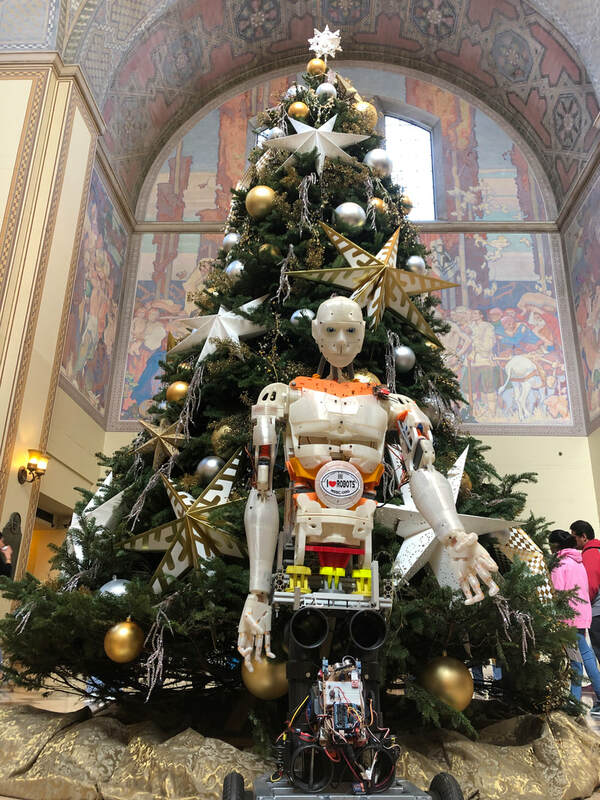 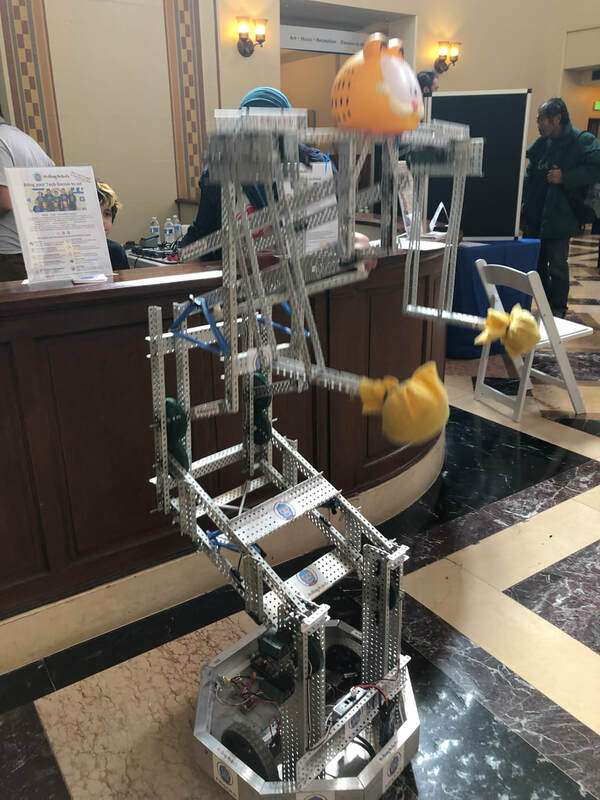 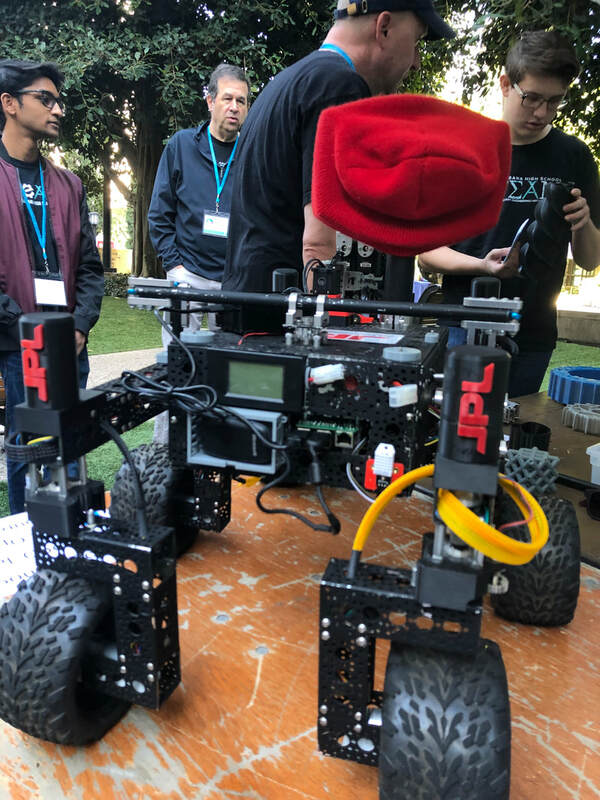 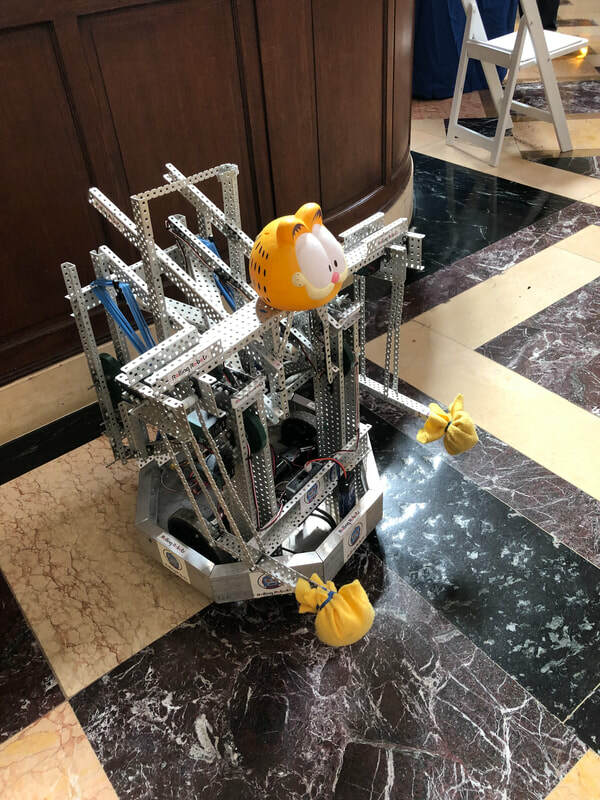 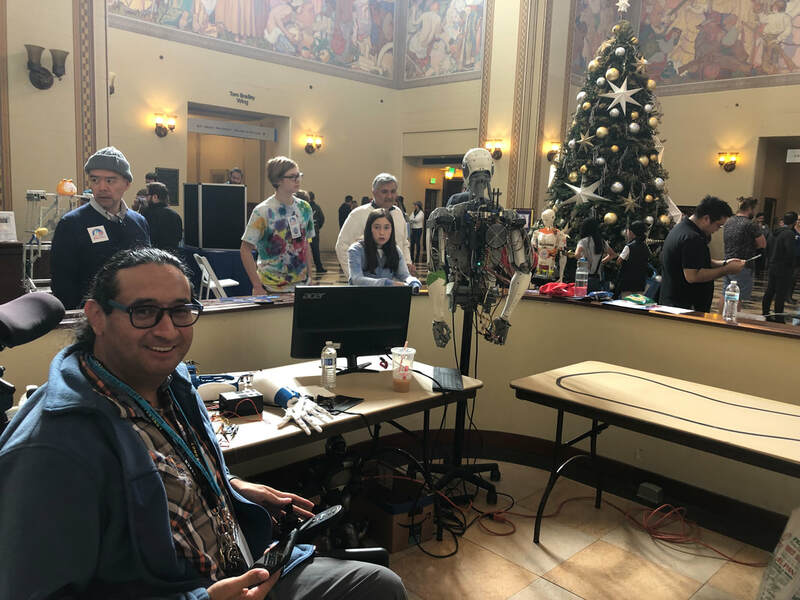 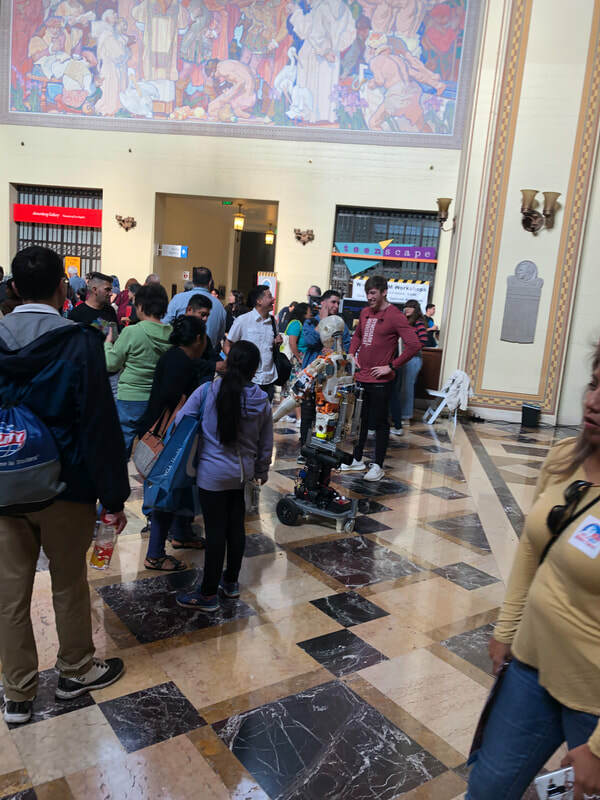 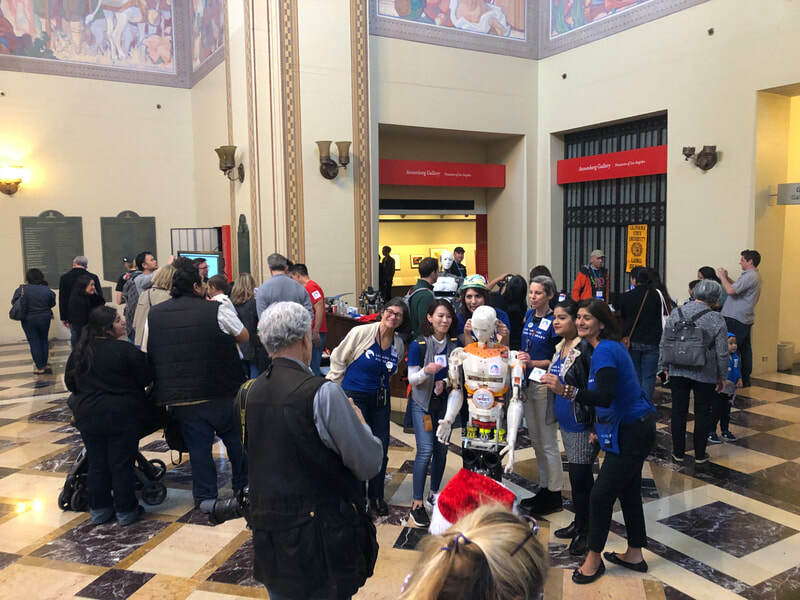 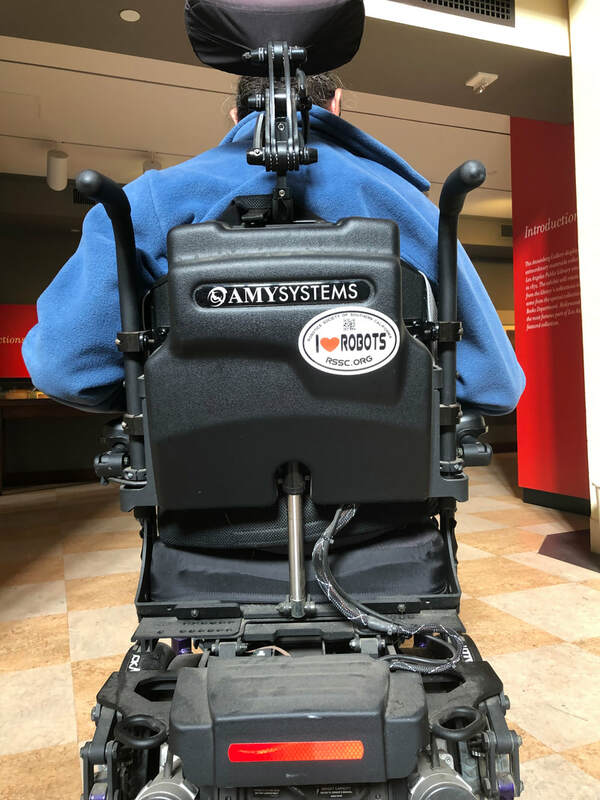 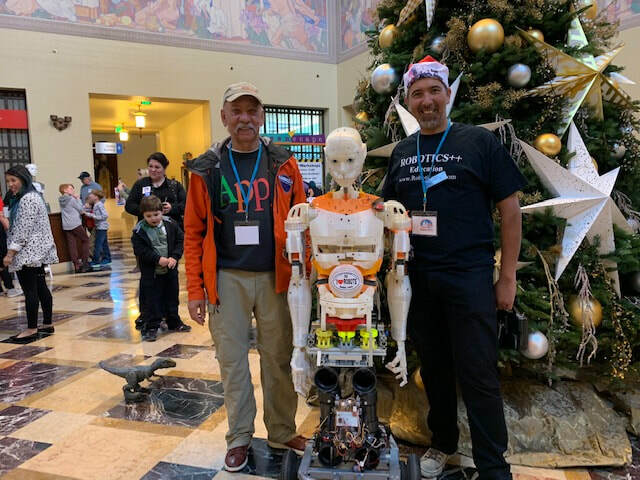 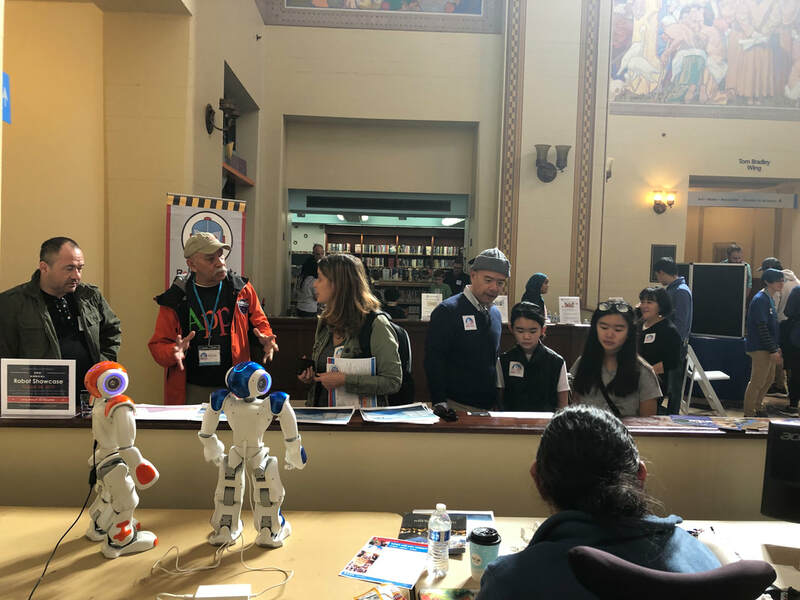 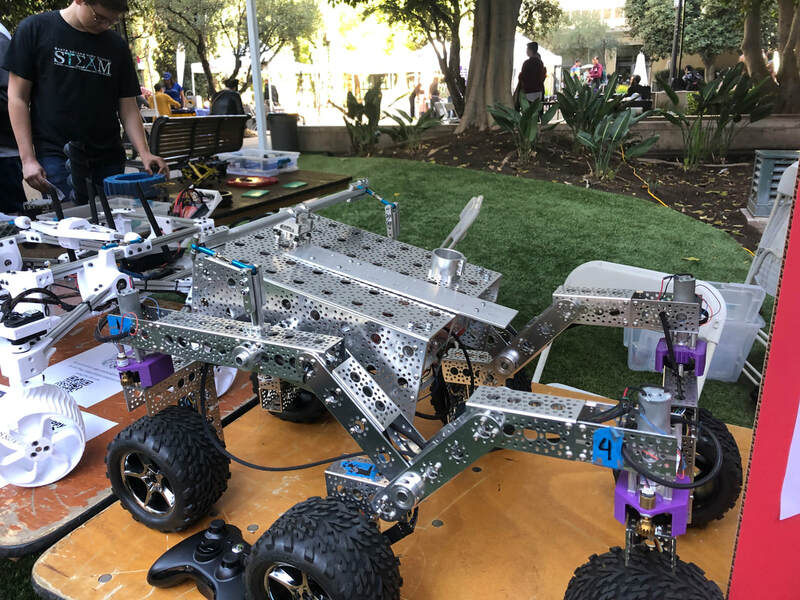 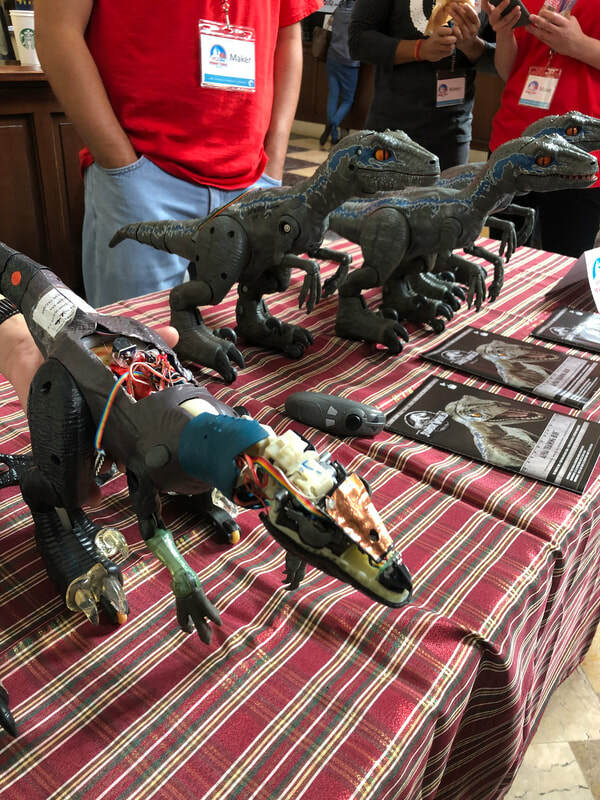 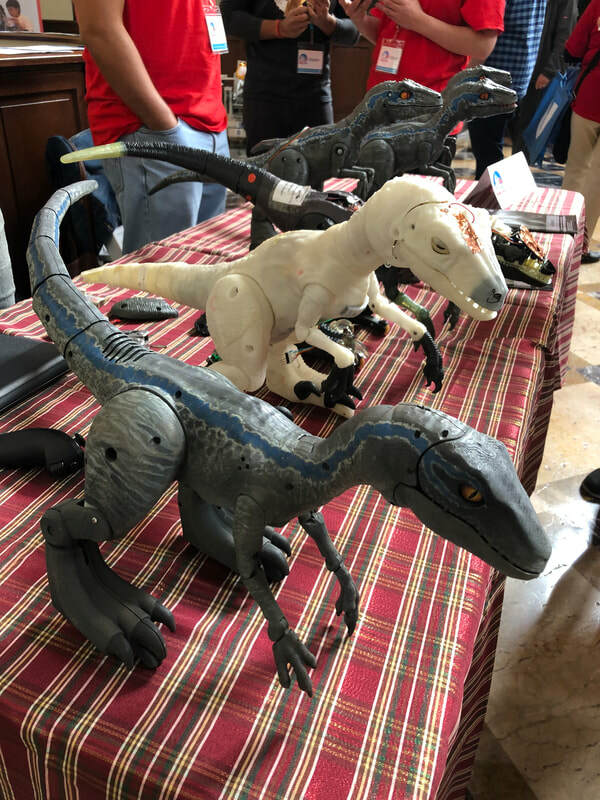 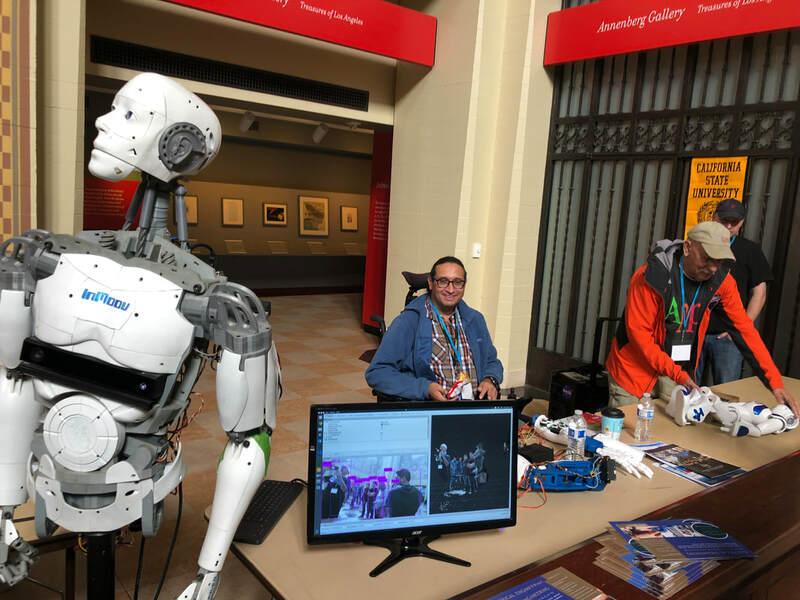 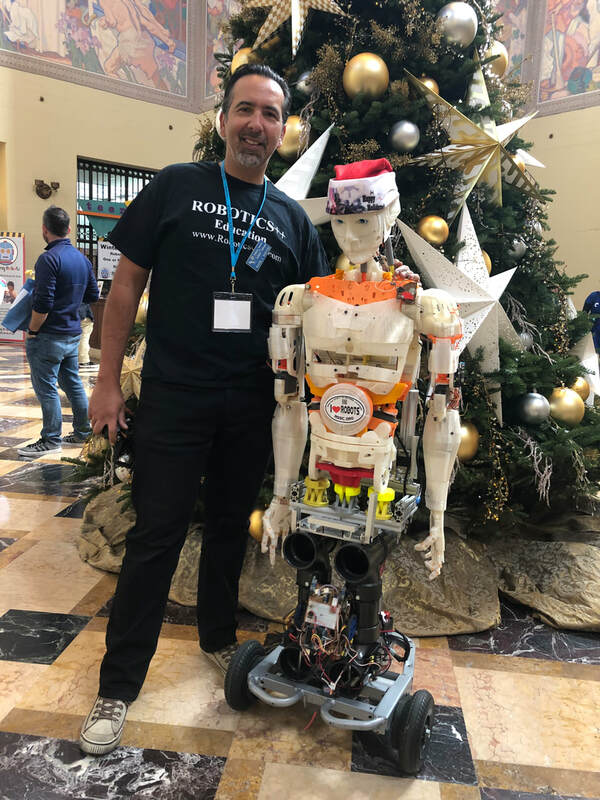 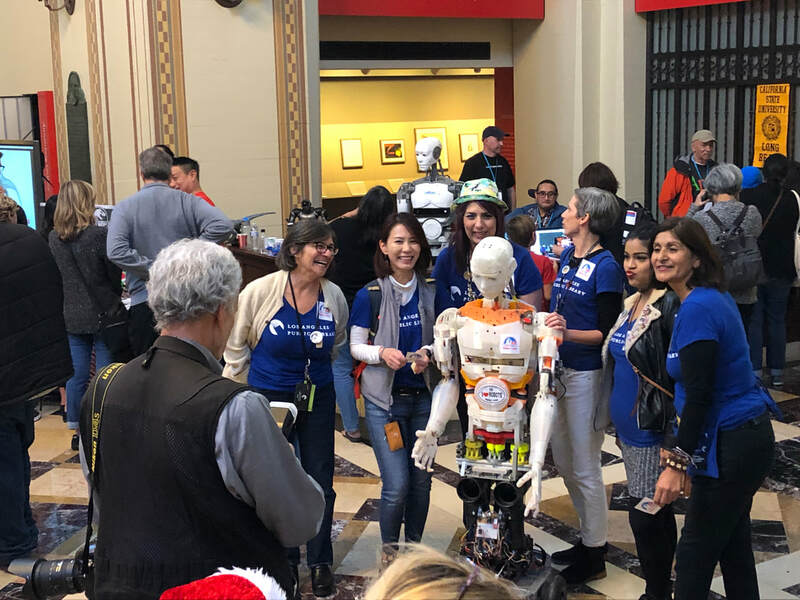 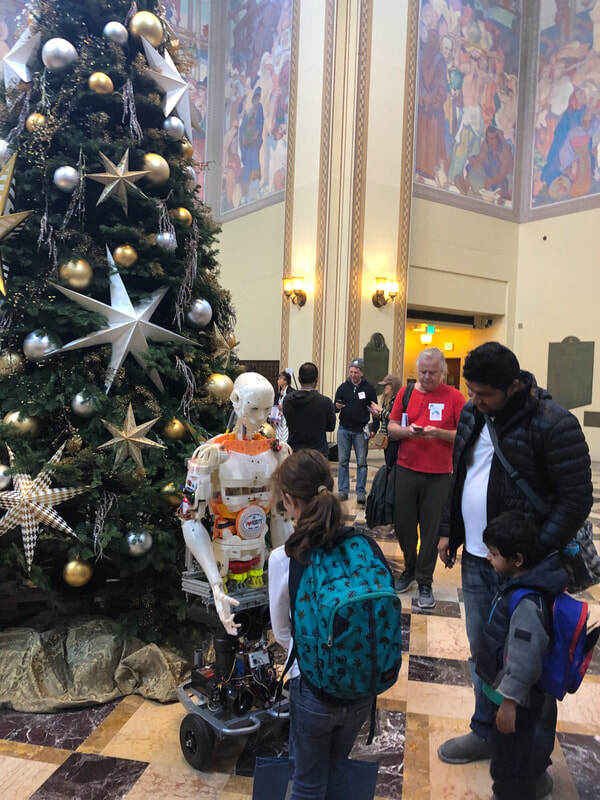 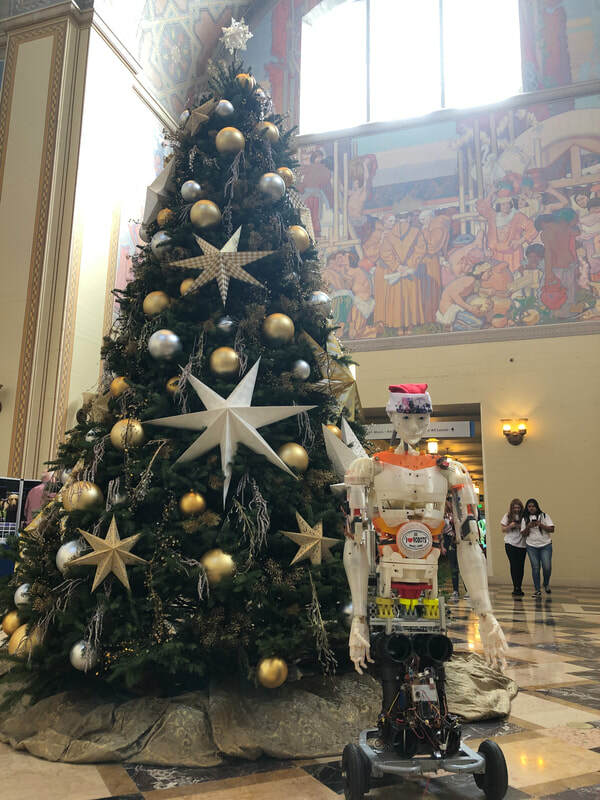 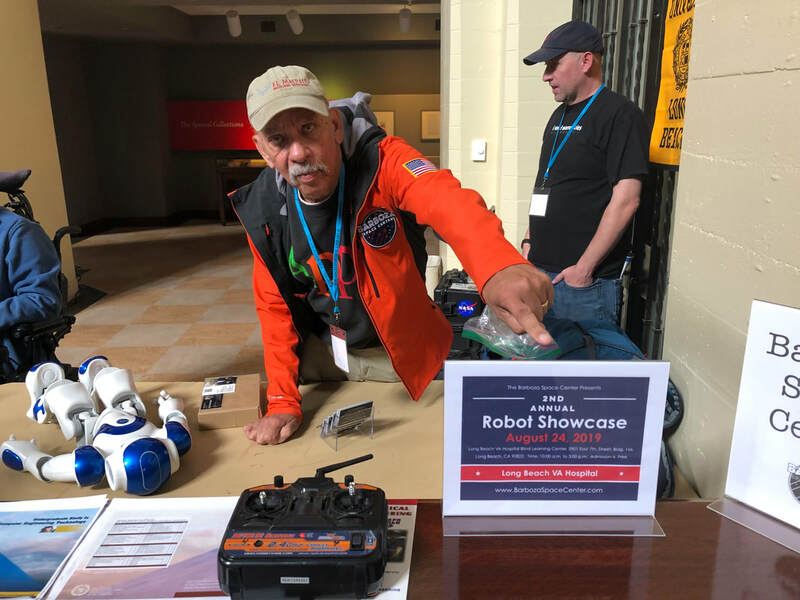 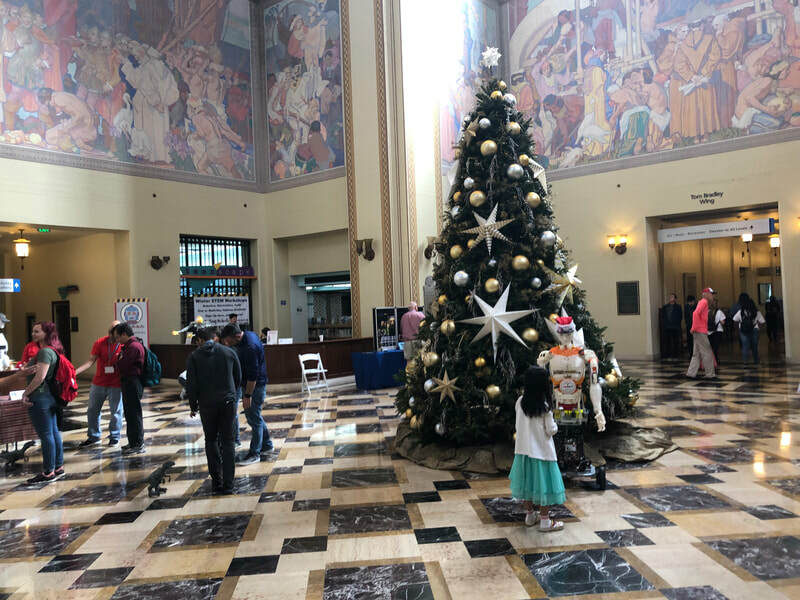 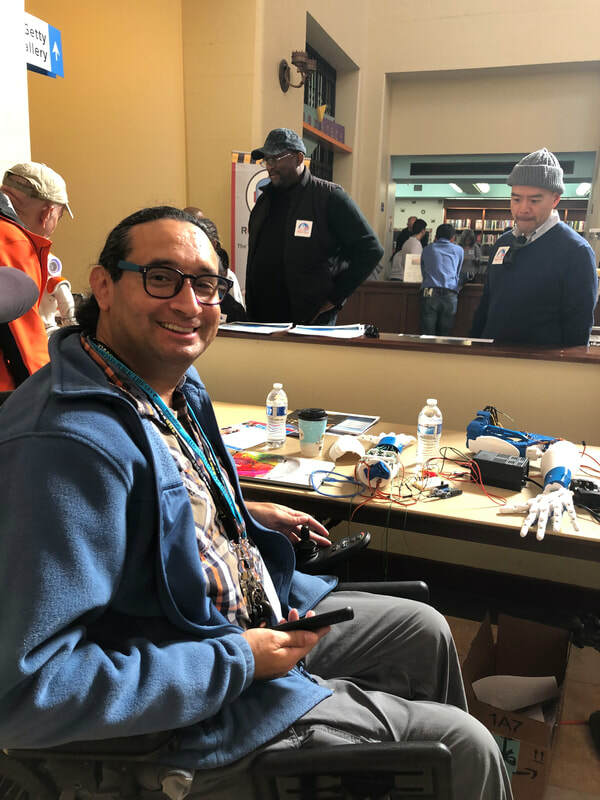 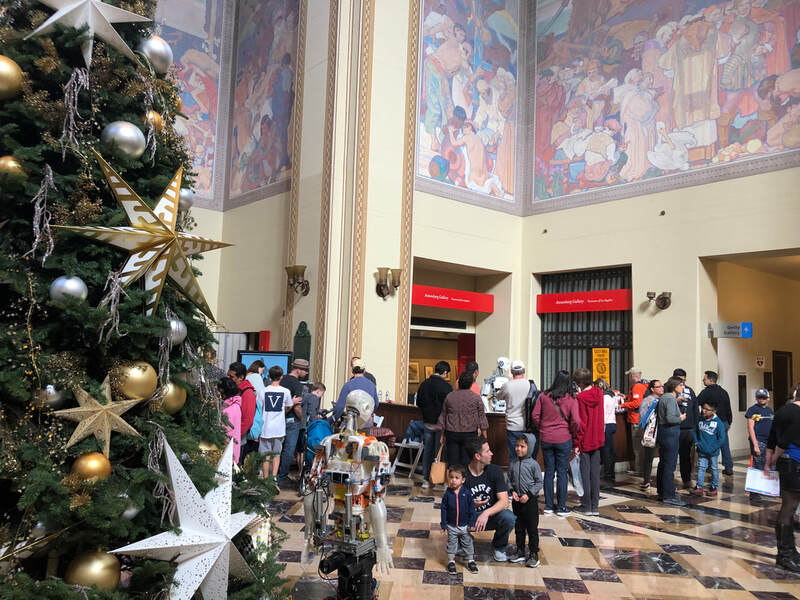 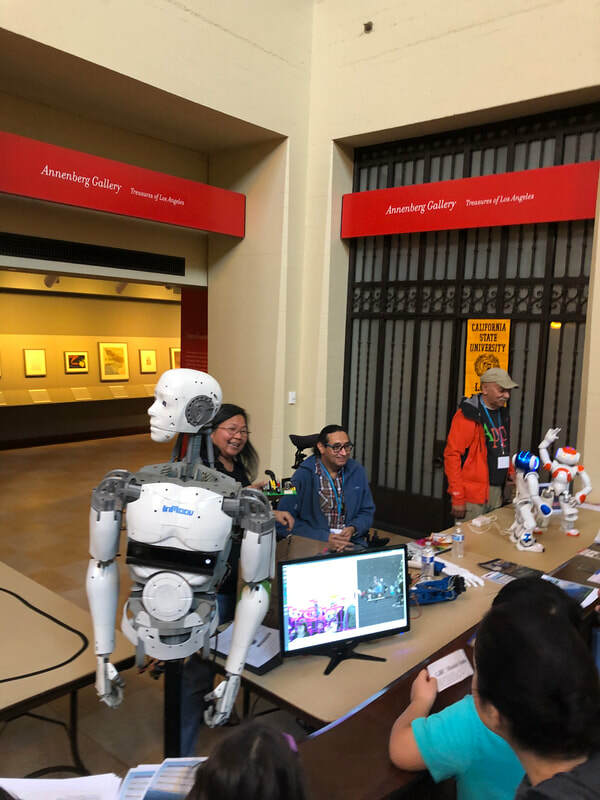 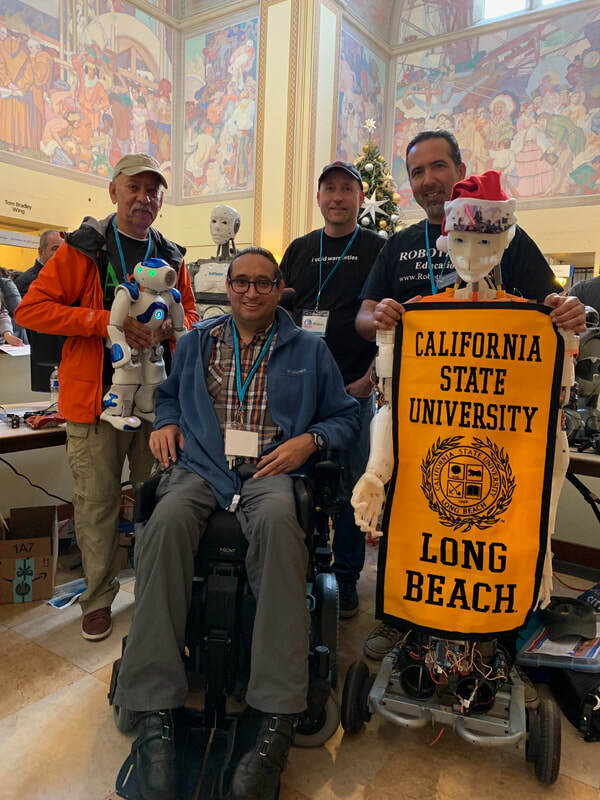 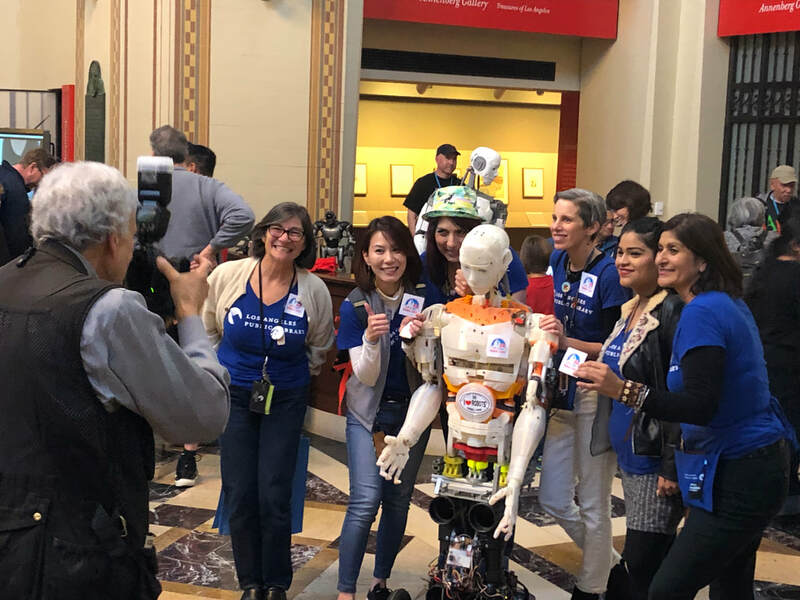 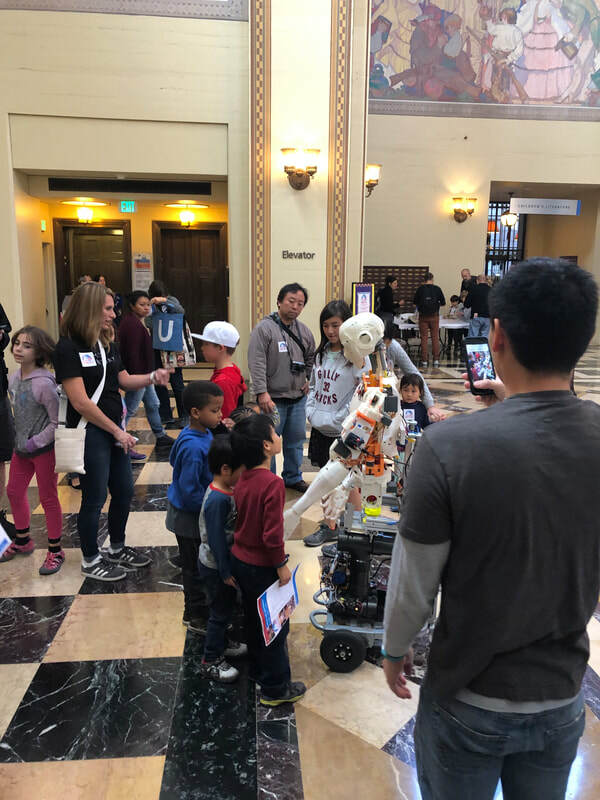 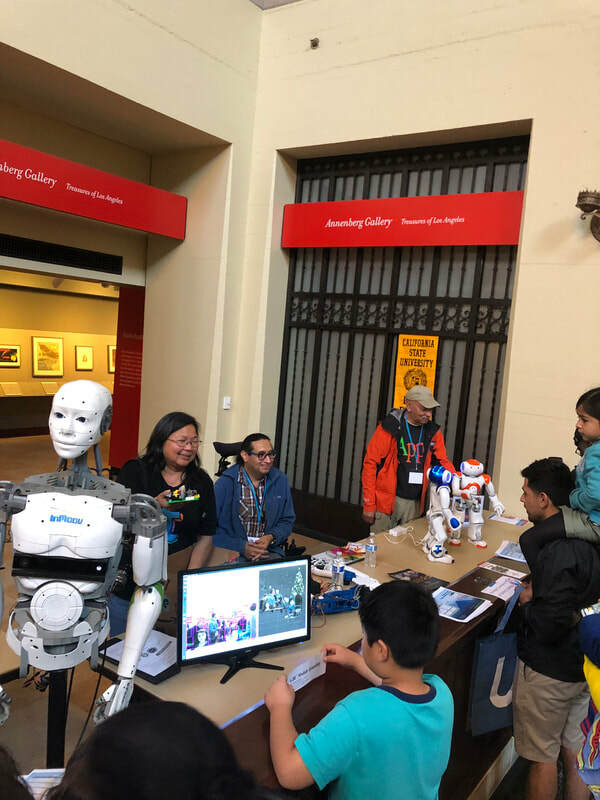 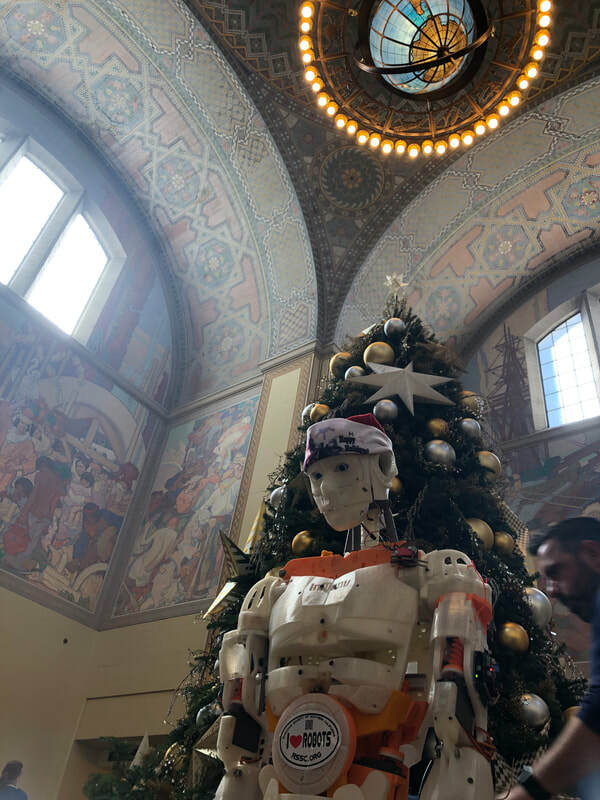 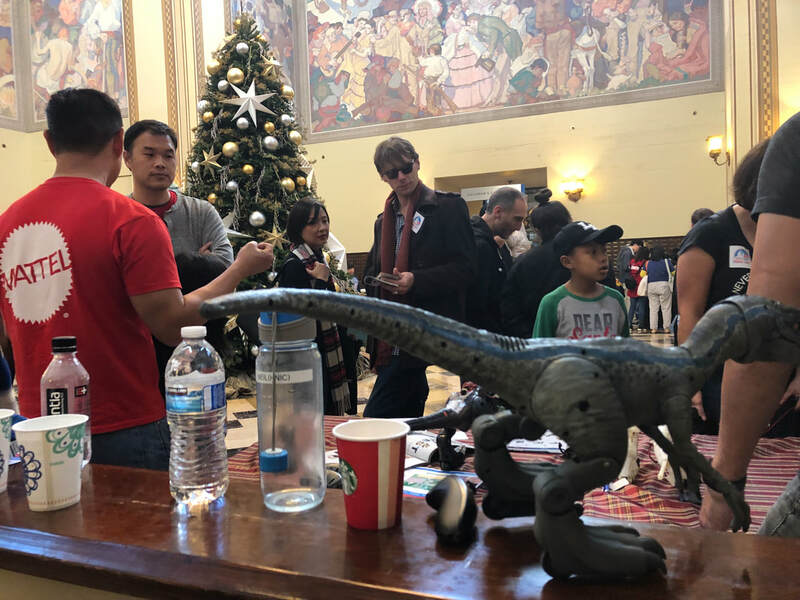 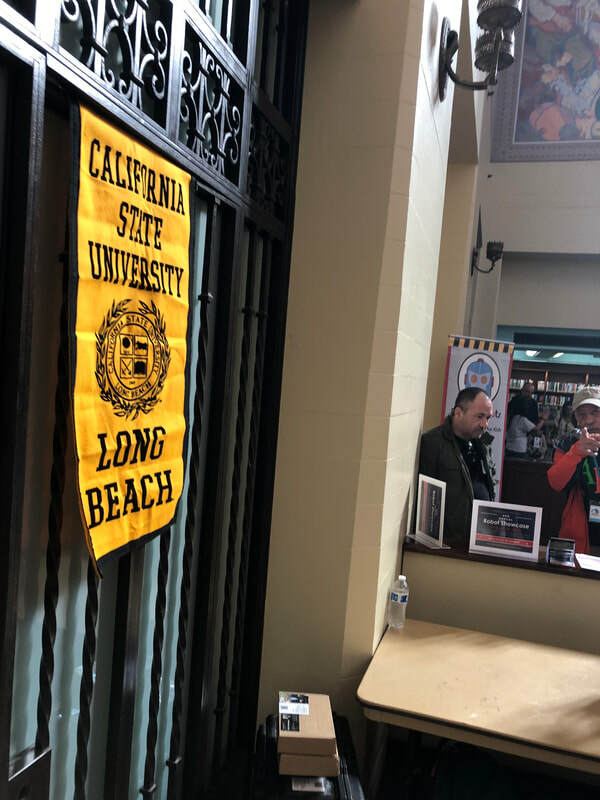 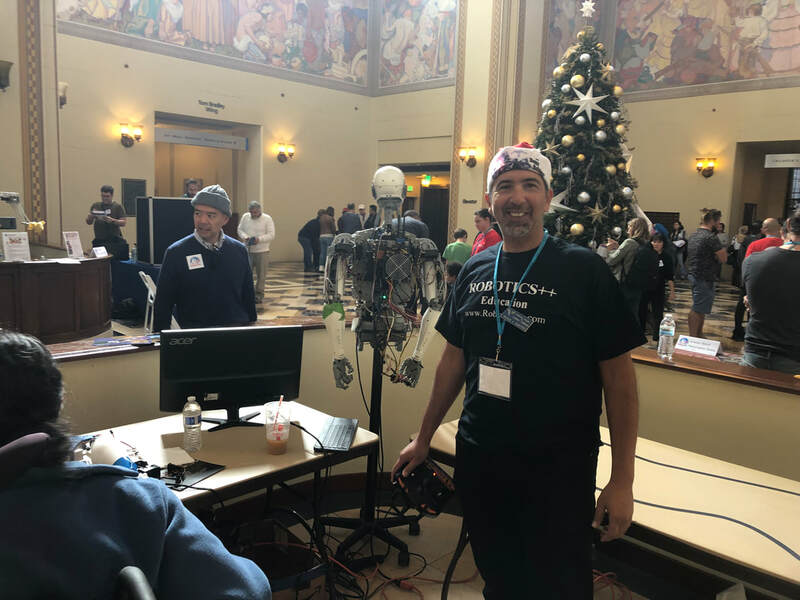 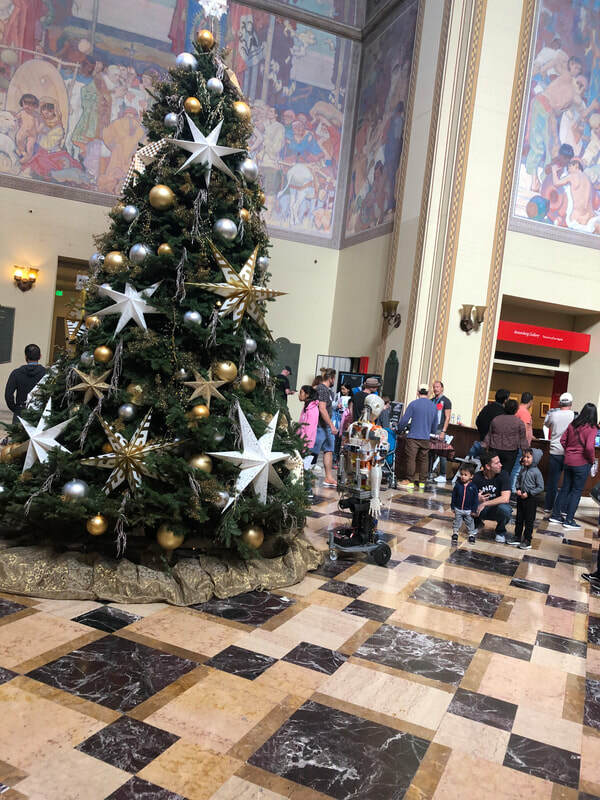 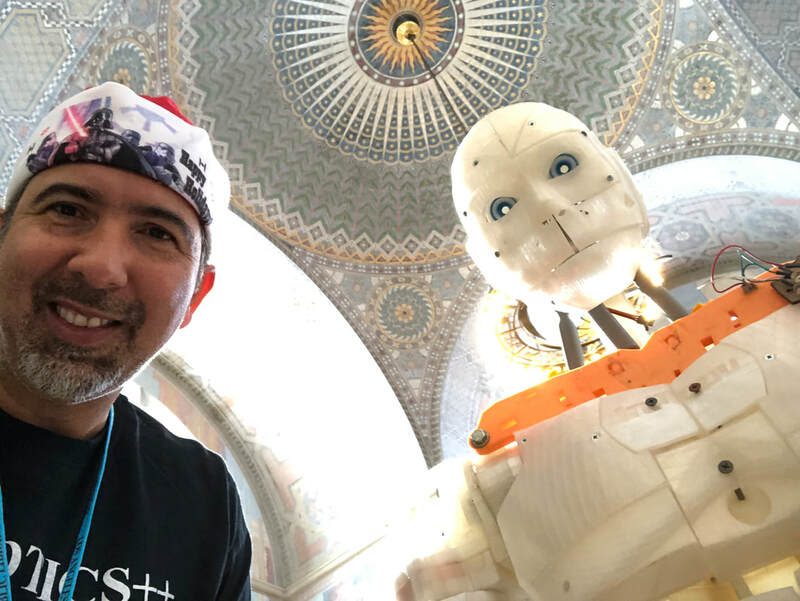 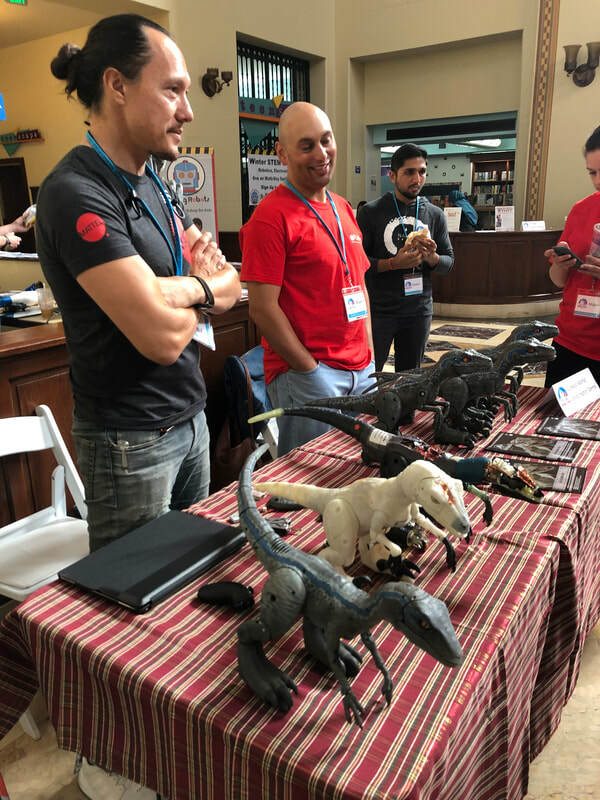 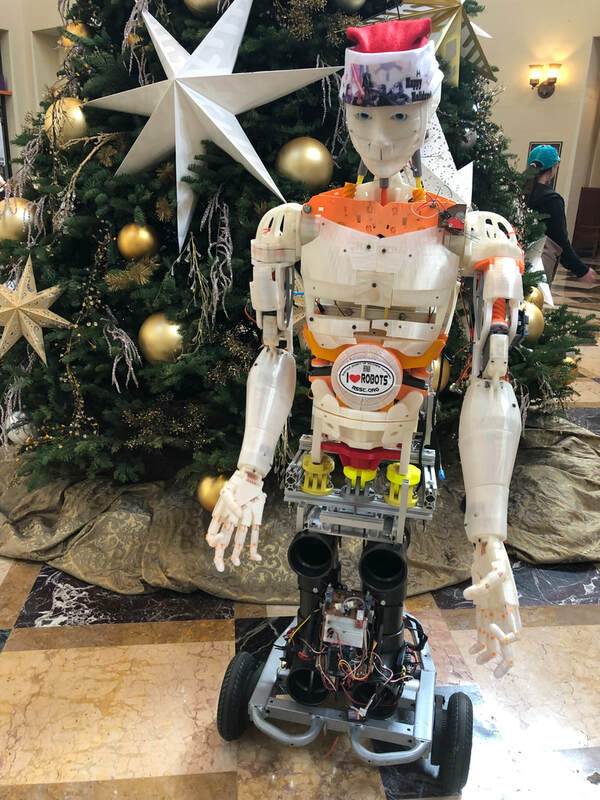 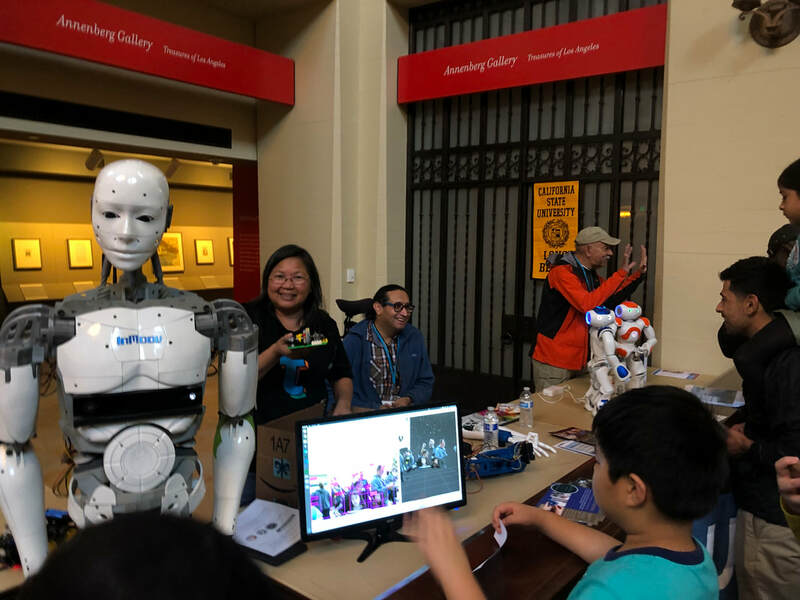 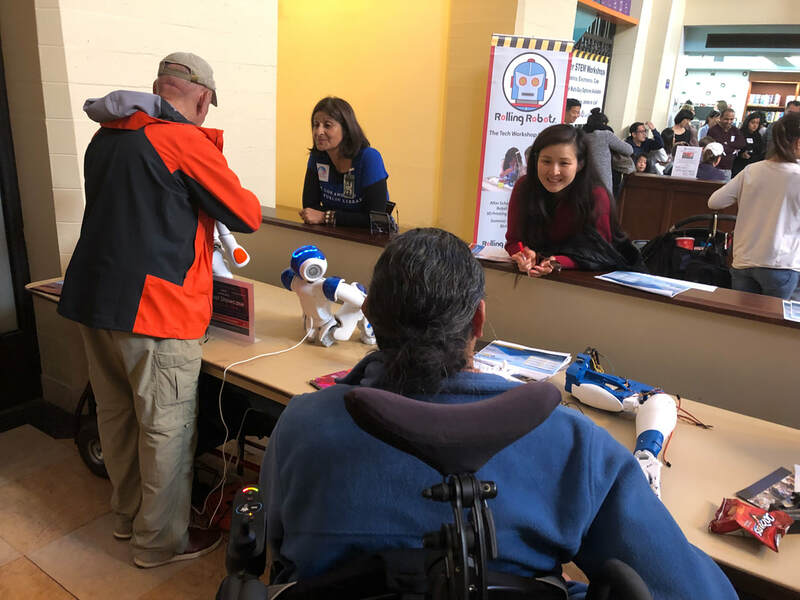 Present were Alan Timm (President), Ben Partida (VicePresident), Bob Barboza (Board Member), Trish Tsoi-A-Sue and Walter Martinez (2017 ) with different robots including humanoid robots. 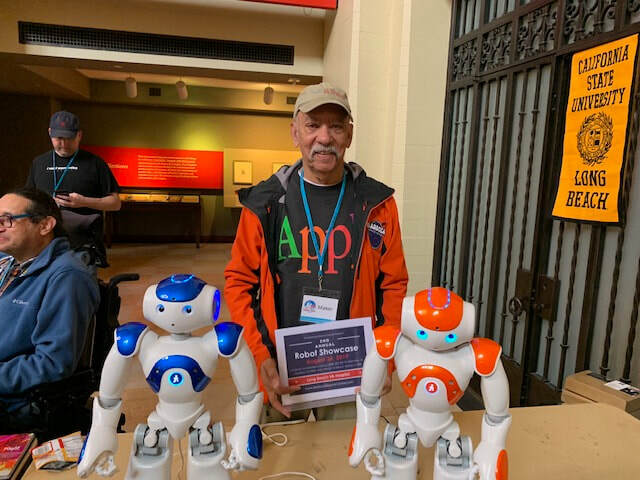 Alan Timm with his robot InMoov robot Grey and Walter with his InMoov Robot EVO and Bob his NAO robot plus Ben with his InMoov arm.